After talking with representatives from the Weston A. Price Foundation at the Green Festival last year, I’ve been transitioning into the direction of the real food movement. 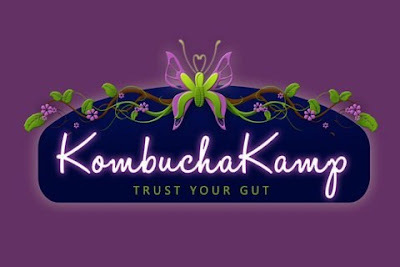 One of the things that the WAPF recommends eating is fermented foods, such as the fermented tea known as kombucha. Kombucha has many health benefits, including improving your digestive system, boosting your immunity, controlling your appetite, and curbing your sugar cravings. With the new year upon us, I realize I still have a lot to work on as far as following more of the Weston A. Price Foundation lifestyle. I thought what a better way to start off the year than by being part of the 30 Day Kombucha Challenge by drinking the fermented tea of Kombucha Kamp. Throughout the month, I’ll be sharing the experiences of my kombucha quest.